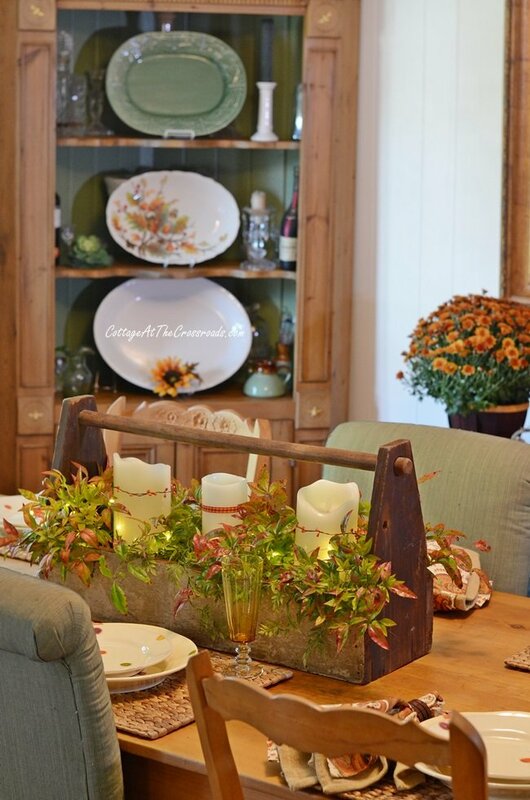 In this post, you’ll find tips for creating a traditional fall farmhouse tablescape celebrating the beautiful colors of the harvest season. In just a few days, it will officially be autumn. I am so looking forward to sweater weather, sitting around the firepit, and sipping some hot cider, aren’t you? Today I’m welcoming the changing season by sharing a traditional fall farmhouse tablescape along with other decorations in our dining room. My love of decorating for the seasons comes from a 31 year career of decorating classrooms. As an elementary teacher, I felt it was important to create a warm, welcoming classroom, and I always enlisted the help of my students so that they had some ownership in the room. Oh, the fun we used to have transforming the room! I’d like to think that those very same students are now creating their own cozy homes by decorating for the seasons. 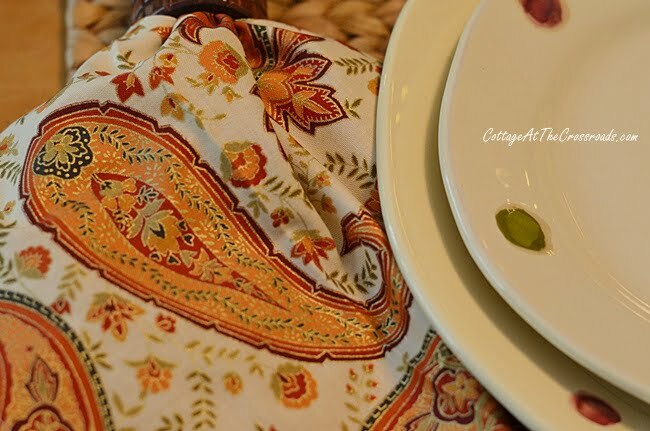 So today I thought I’d share a few tips on how to cozy up your dining rooms for fall. Tip #1: Embrace what you love! I love the traditional colors of fall found in nature so that’s what I’ve used in creating this tablescape. But if you love a more neutral look, then go for that! But don’t get all caught up in trends if that isn’t what you truly love. I have always loved a more casual farmhouse-y look as opposed to glitz and glamour. Heck, I grew up in a real farmhouse and now we live in a small farmhouse cottage. So I am no stranger to the style. We’ve had the pine harvest table, cupboard, side table, and corner cabinet for many years, way before the farmhouse style became popular. The style and the simple wood still appeals to me, and I embrace its orange-y looking color! 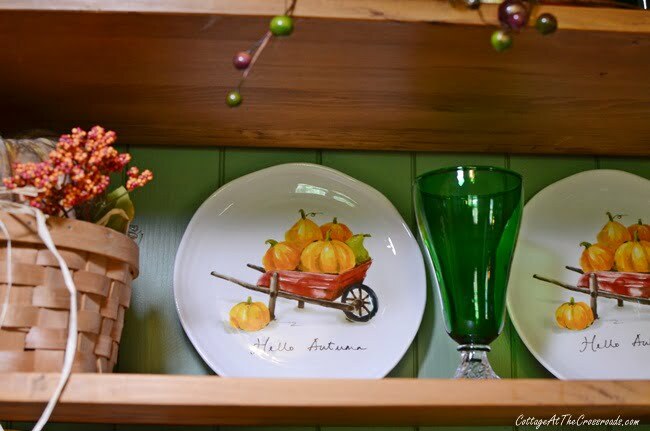 As I was beginning to create this tablescape, I brought out this colorful Vietri Pallini dishware that I started collecting about 15 years ago. I love me some polka dots, and these are all done in beautiful, autumn colors. So pull out whatever dishes you love to set the table. I do think it is easier to create a tablescape if you decide on a color scheme in advance. Since I’m using traditional fall colors found in my dishware, I started looking in my napkin stash and found these napkins that I made last year for our church’s tablesetting fundraiser. I have to laugh every time I see a paisley pattern. Leo calls them “protozoas!” Making your own napkins is a very economical way to coordinate colors. 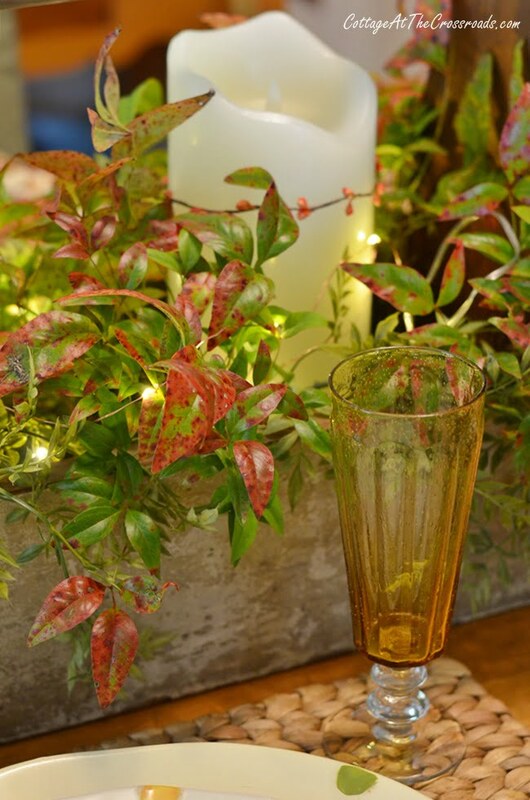 The gold stemware goes beautifully with the other autumn colors on the table. I found these at World Market a few years ago and I love their shape, color, and bubbles! 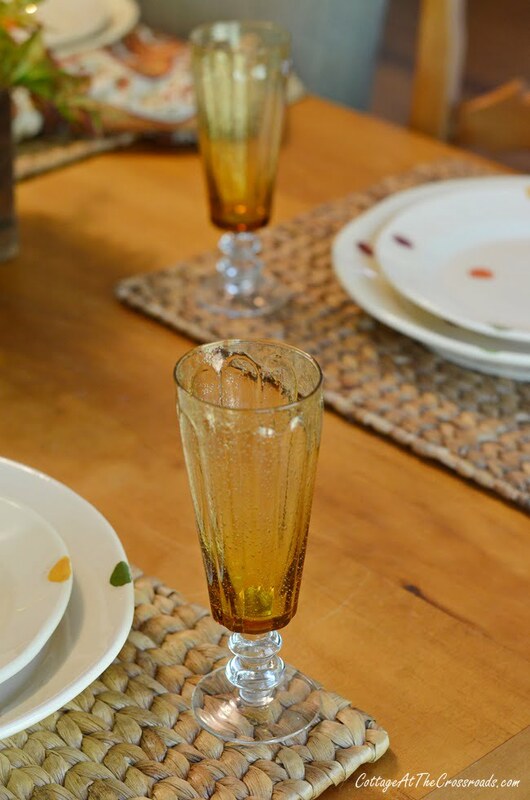 Speaking of bubbles, I need to make a sparkling cider drink to serve in those, don’t I? 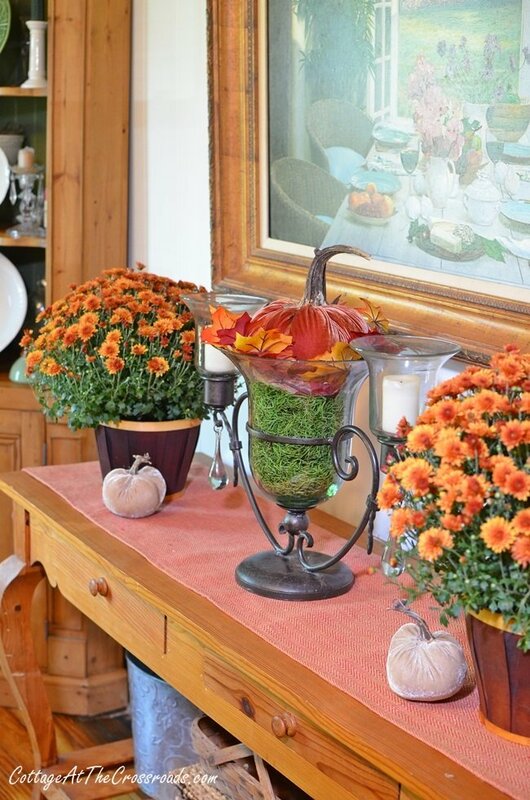 On the side table, I have used more traditional autumn colors and elements such as pumpkins and mums. 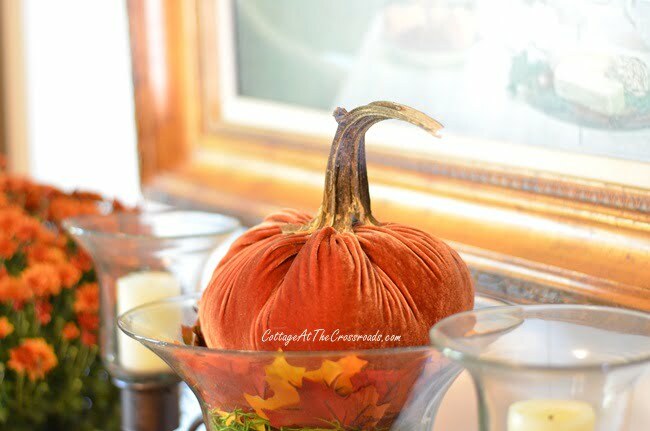 One current trend that I am crazy about is velvet pumpkins! This is the first one I’ve made myself, and I cannot believe how easy they are to make. The hard part is finding realistic looking stems! This one is actually from a dried up sunflower head that I found in our garden. The smaller velvet pumpkins I found at Jo-Ann’s before I attempted making some myself. 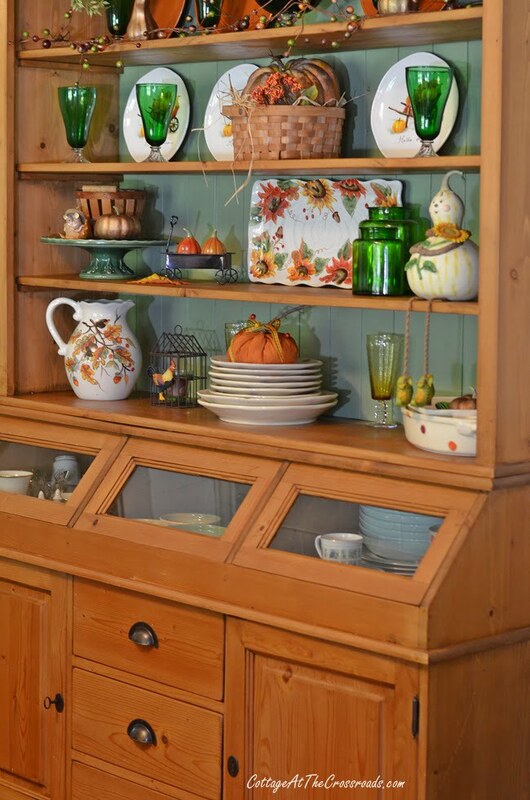 Although I’m using traditional fall colors on my fall farmhouse tablescape, I’m especially focusing on using orange and green which you can see displayed on the cupboard. That helps keep things more cohesive and not so chaotic. 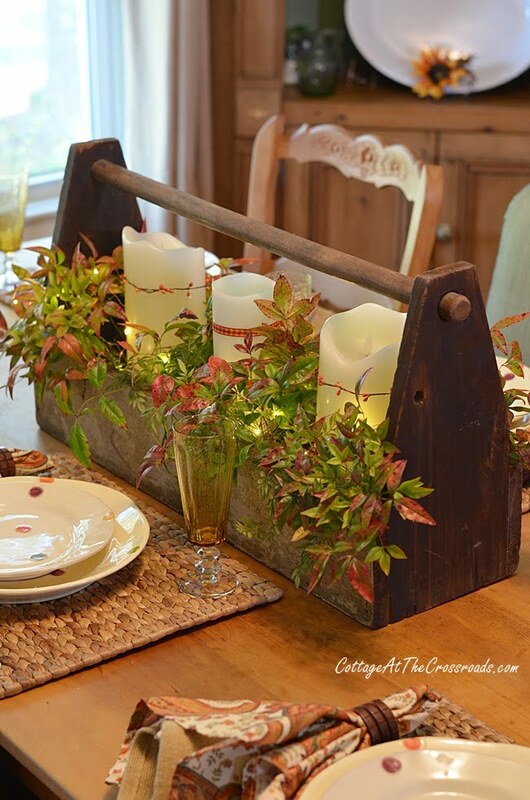 In the tool caddy that I’m using as a centerpiece on the table, I’ve tucked in nandina branches from our yard. They continue to look great for many days even without being placed in water! It’s so worth planting a nandina bush or two in your yard just for their beautiful fall color. Also inside the tool caddy is some faux greenery that I’m using as a filler so don’t be afraid to mix real and faux! If I were doing placecards, I’d probably use some pine cones as holders. 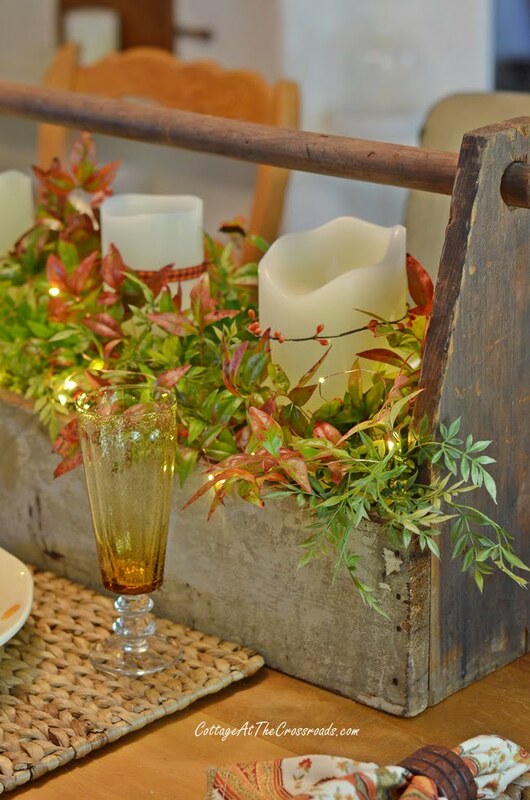 This season is all about celebrating what nature gives us so incorporating natural elements on a fall farmhouse tablescape is a given! 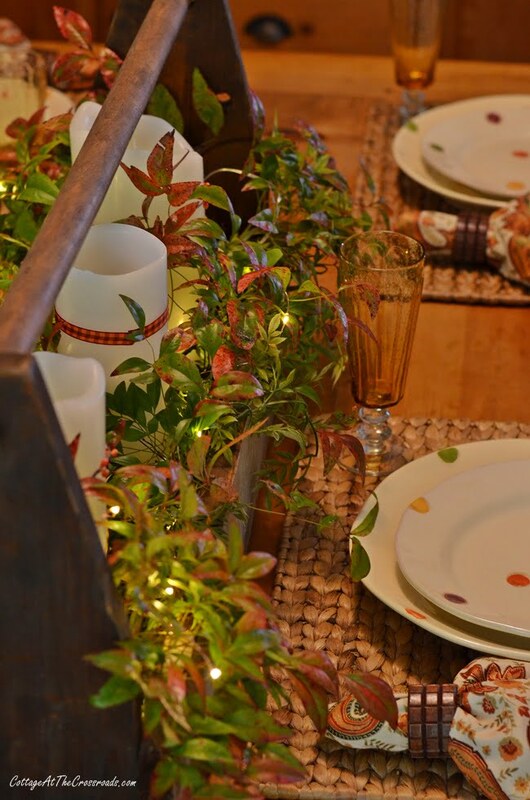 Of course, using natural elements adds texture to your table, but there are many other ways to do so. 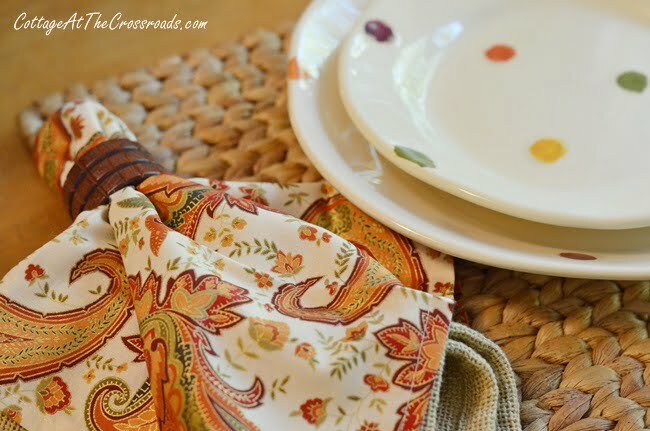 I decided to use these woven placemats and wooden napkin rings to bring in more texture. Other ideas are using a quilt or a woven scarf or throw on your table. For ambiance, I added 3 electric candles and 2 sets of (Amazon affiliate link) fairy lights down inside the caddy. I cannot think of anything better to add some ambiance than these little fairy lights tucked down inside a centerpiece. I just smile when I pass by our dining table at night and see the lights. They are magical! All of the items that you see in our dining room are things that I’ve collected over many years. I do try to freshen up things by adding a few new things each year. When I spotted these salad plates with the wheelbarrows on them this year at Pier 1, I just had to have them. You can also see them on this year’s autumn front porch. The new blends with the old on the cupboard. 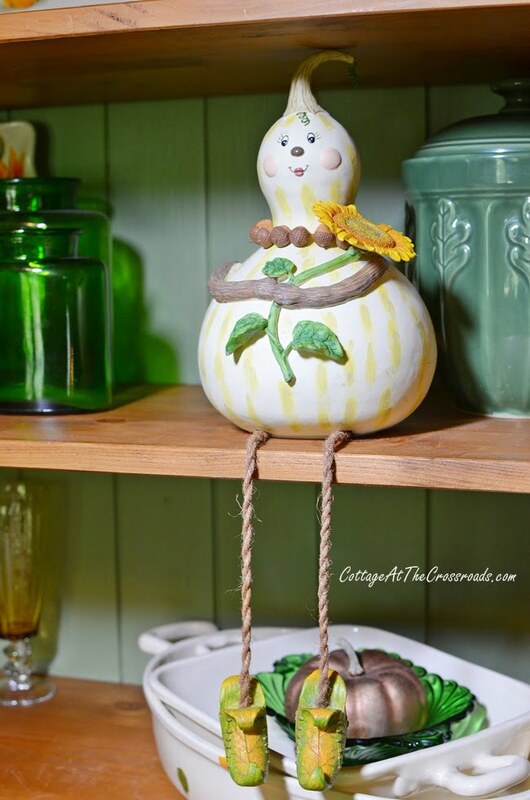 I am a collector at heart, and when I bring out old pieces such as this gourd lady, it is like seeing old friends. I like having things around me that have a history or a story. Such as this little figurine with the mice. I bought it the first fall that Leo and I shared together because it reminded me of us. Instead of two peas in a pod, it was more like two mice in an acorn! Oh gosh! I just love all the colors of autumn and although they may not be trendy, I choose to use them because I love them. So don’t get caught up in doing what everyone else is doing or using. 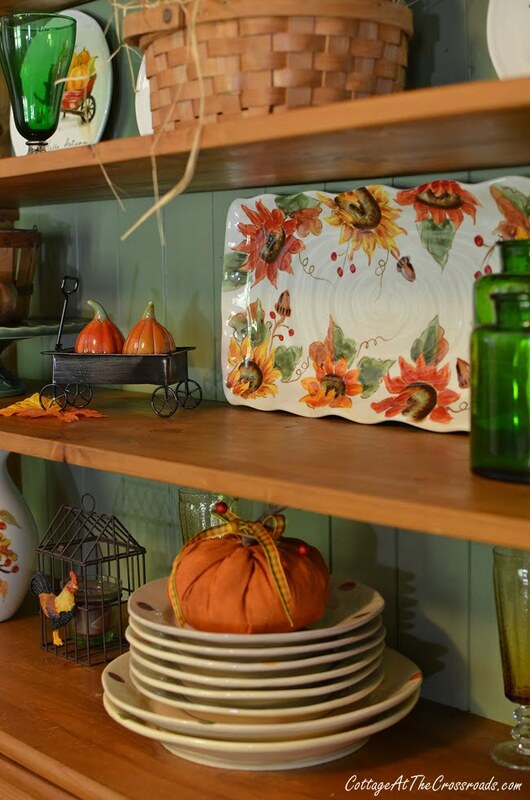 Express your own style through your choice of colors and elements in decorating for fall. Ready to decorate for fall? 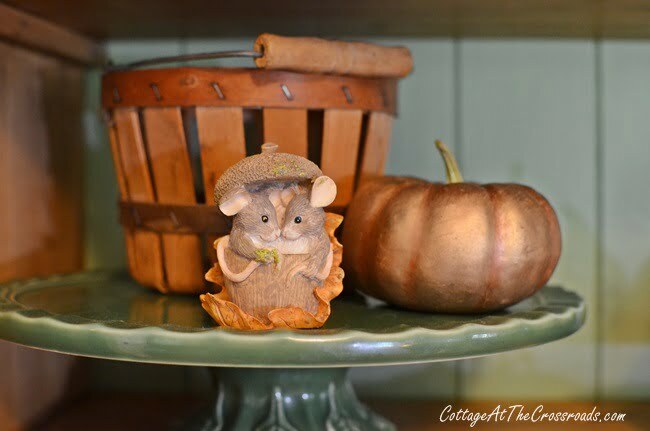 I hope you’ve found my tips for creating a fall farmhouse tablescape helpful. Trust me. Your efforts will not go unnoticed! Celebrate this bountiful season! I haven’t started decorating for fall yet. I hope to begin this week. Your style of decorating always appeals to me. 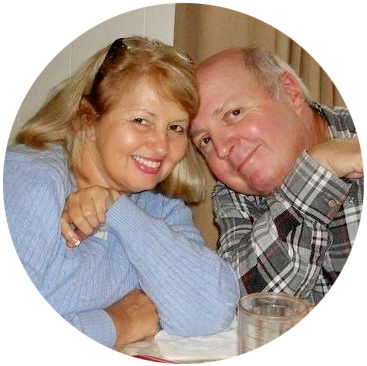 I am also a retired elementary teacher. Thanks so much for sharing your fall decorations. I’m so glad someone agrees with me that you can have too much white! I love color! And fall is a time for color! My house will have lots of orange, red and yellow, it’s just not fall without it! White pumpkins just don’t seem natural. Love your style and decorating! Your place looks so homey and welcoming.Love it!!!???? You can tell you decorate with your heart. Love yr tool caddy..thanks for the idea ..I am going to do something like that.???? 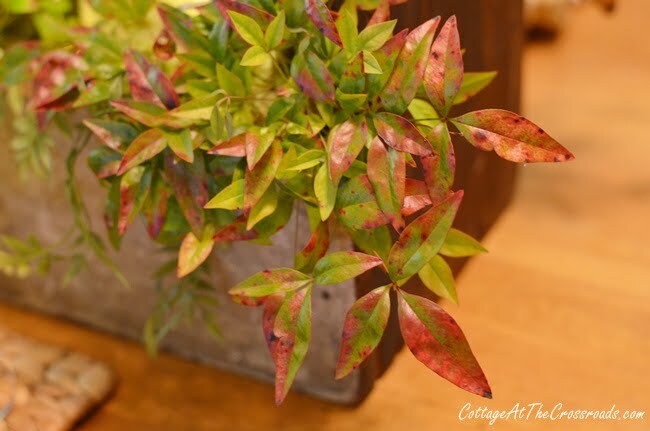 Jane, I love your fall decor and especially the Nandina! You’re right, every yard needs a Nandina or two! I drug my box of fall decorations out Labor Day weekend and my husband asked me what was I doing. It’s not fall for two more weeks. I looked at him and told him the pumpkin spice is out in the stores. If the pumpkin spice is out, I can decorate. He said I stand corrected. Love the fall colors, too! My local garden center has a wonderful selection of all types of gourds in the crisp fall colors. Thanks for sharing your beautiful decorating! have added to your home! Just beautiful; thank you for sharing. 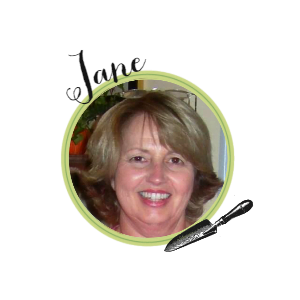 Jane, this post is absolutely gorgeous, cute, and so beautiful. I just can’t name all the things I love about this fall dining room. Wow! Again you have done a fabulous job! Love those Pier One plates. I just saw the new ones they have with the truck and Christmas tree . Love them but I won’t be decorating for Christmas this year. Life changes in an instant. Love it! The neutrals that are being used nowadays are beautiful, but do not touch my heart and make me feel giddy like the natural autumn colors do! I just get that wonderful feeling of home and holidays approaching with the more traditional colors~I guess I’m just ‘old school’ like that! 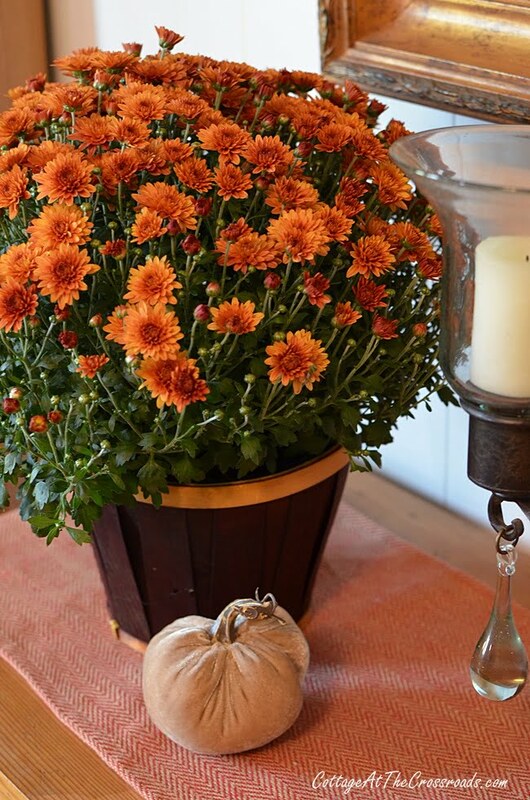 Now I’m excited and want to get busy decorating…..
Jane, this is one of the prettiest fall decor posts I have seen yet. I love everything about it especially the colors. I am fan of wood furniture and always will be. Just gorgeous Jane! I’m beyond ready for fall and love seeing all your fall touches and collections! 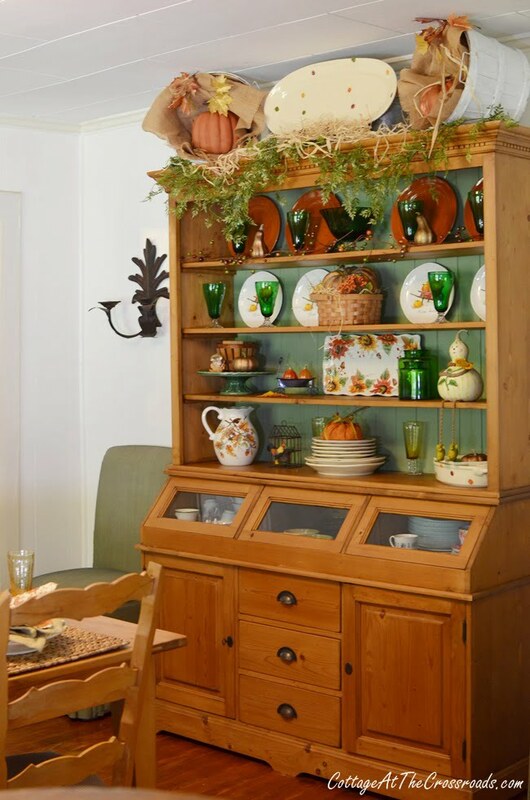 Your hutch display is a thing of beauty and your gourd lady made me smile. ???????????? I absolutely love how you think outside of the box with your floral arrangements and how you used the tool caddy. I’m inspired. I have a lot of pine also and I embrace it!